Last year, I had some rough behaviors in my room. I mean, rough. As the year went on, I became frustrated and exhausted, but I also discovered one important commonality: these kiddos who kept acting out had all experienced trauma. I don't just mean what my therapist husband calls "Little t trauma", I'm talking about "Big T Trauma". Stuff little kids should never have to worry about. Kids don't know how to appropriately process and respond to that kind of stuff (and if we're honest, many of us as adults don't know how, either! ), so they react. They lash out, they act up, they do anything they can to try to gain some kind of control over their little worlds, and to make sense of their lives. Unfortunately, there is not a thing we as teachers can do to change situations in these kids' lives outside of school. We are completely powerless in that area. BUT, what we can do, is give them tools to process what they are going through. After the year I had last year, I spent all summer researching. How to calm irate children, how to stop outbursts and misbehavior. What I found is not at all surprising: there is no easy fix. The important thing is to give kids strategies, to teach them how to respond instead of react. One word that kept coming up in my reading was mindfulness. 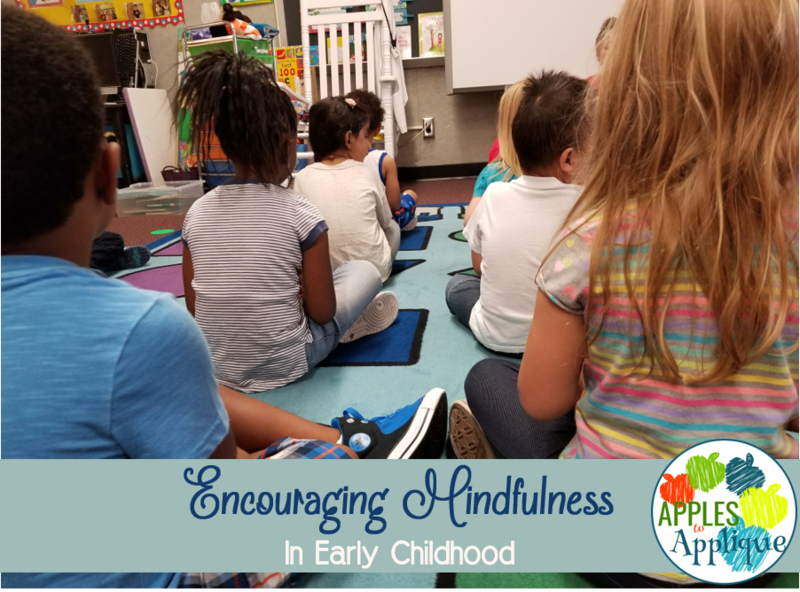 Eagerly, I searched and searched for articles explaining how to teach mindfulness in early childhood, but I kept coming up empty. The problem is, mindfulness is something that must be learned, but it isn't something you can really teach. It's something that must be done intentionally and with practice. I realized that I must teach my kids strategies, help them learn to feel and identify their emotions, and give them time and space to process and respond to things happening around them. I made some big changes in my room this year. First, I set up a mindfulness corner. 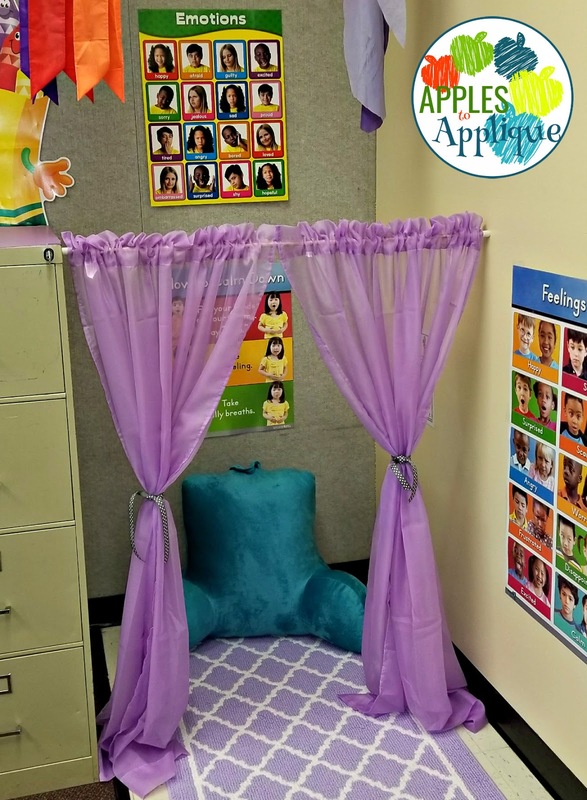 This space is reserved only for kids who need some space to calm down and regroup. It is NOT a time-out area; kids can choose to go there if they feel sad or angry, or even if they feel too excited and wound up. At first, it was an area of great interest, and all of my kids would ask to go in there to read or play. They quickly came to understand, though, that's not what the space is for, and now they only use it if they need it. In the mindfulness corner are some calm down cards, with choices for students to help them relax. There are also posters to help them identify their feelings. We have also been starting every day with meditation. One of my awesome paras spent a year teaching in Thailand, and told me how all students there meditate at the beginning of every day. I loved the idea, so now that's how we start our mornings. The kids are used to it now, and it gives us a positive start to our day. Just 4 minutes of sitting quietly, listening to calming music. We more than regain that 4 minutes the rest of the day, as the students are then ready to learn! We have been practicing different breathing techniques, such as the Balloon and Drain from Conscious Discipline. One of my favorite things has been Daniel Goleman's suggestion to use Breathing Buddies. Breathing Buddies are stuffed animals that help students focus on their breathing. They lie on their backs with the stuffed animals on their tummies, and watch as their breaths make the animals go up and down. 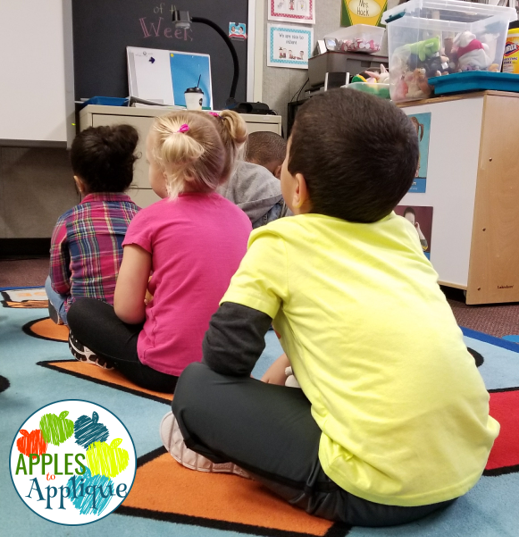 The kids love using Breathing Buddies! All in all, we are off to a much calmer, smoother start this year. I think starting our day with meditation helps establish that the classroom is a calm place to be. 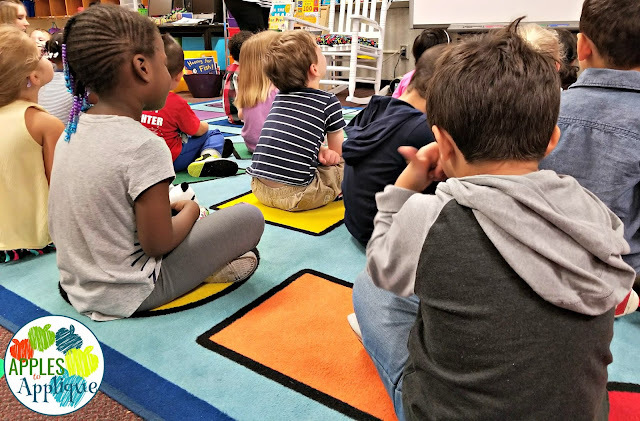 Giving kids practice identifying emotions and the space to process those emotions, as well as strategies on how to respond, gives them a sense of control over their lives, and with it, some peace and a renewed focus for learning!